Today we (Eva Åkesson, Anders Malmberg, Katarina Bjelke and Kay Svensson) are in Brussels along with representatives of some twenty other leading research universities in Europe for the opening symposium of a new network, The Guild of European Research-Intensive Universities. Our aim is that the network will give Uppsala University a more distinct presence in Brussels, which we hope will increase our opportunities to influence European research and education policies. 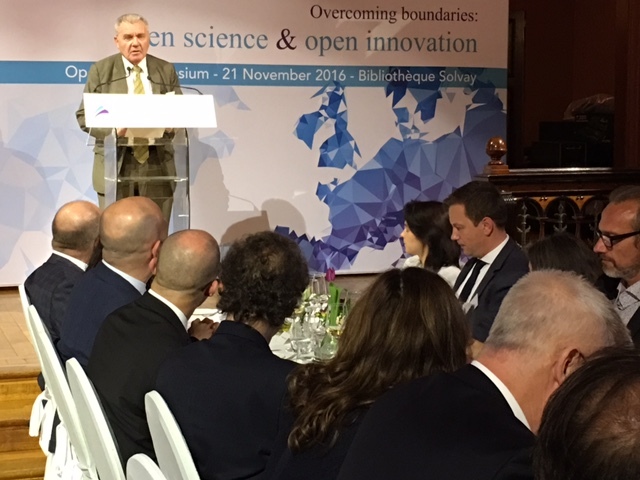 Europe faces many challenges and the universities have much to contribute. We see a great need to improve the dialogue between research and politics on important future issues. The refugee crisis, threats to democracy and the freedom of expression, increased social exclusion, antibiotic resistance, energy and sustainable development are some of the issues the network’s universities are working on at local, regional, national and international level. One of the activities will therefore be something that goes under the working name ‘Policy Labs’, and which is envisaged as dialogue between politicians, officials and researchers on these and other topical issues. The Guild’s first symposium was on open science and open innovation. 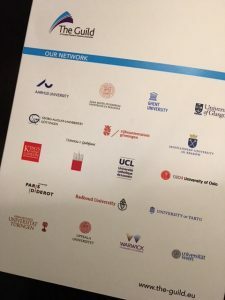 The network fits in naturally with Uppsala University’s activities. International contacts and exchanges of knowledge are part of our everyday life. Students and researchers collaborate around the globe. This also fits in well with the government’s objective that Sweden should be a leading knowledge nation. EU cooperation has a major part to play in achieving this. EU resources provide a considerable proportion of funding for research projects. The total value of projects in which Uppsala University is participating stands at around EUR 50 million. This being so, it feels absurd that we – one of the initiators of the network – are not allowed to become a full member yet. Instead, we have to wait for approval from the Riksdag (the Swedish Parliament). This is a consequence of the organisational status of Swedish universities. Swedish higher education institutions are restricted and obstructed by the Riksdag’s calendar and regulatory complications. As a result, we risk missing out on opportunities to swiftly take our place and act in international connections, and being perceived as difficult to work with. Many issues are settled in the opening stages of a cooperative venture so it’s important to take part from the start. This is just one of the unnecessary obstacles to the increased internationalisation of higher education institutions – there are many others. We have delivered a list to Minister for Higher Education and Research Helene Hellmark Knutsson, specifying problems that must be resolved in the inquiry on internationalisation. Now we expect action to address them. If Sweden is to continue to develop as a nation of research and education, the higher education institutions need more freedom to act. This is in everyone’s interest.